Assemble a list of buzzwords from your industry or niche. 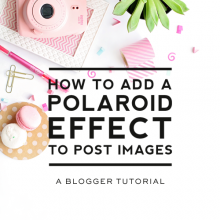 If you have a photography site, some of your buzzwords might be “camera,” “click,” “photo,” or “pose.” A hodgepodge of relevant words may help trigger a relevant blog title. Make it short and easy to remember. A brief blog title boosts memorability and catchiness. A good rule of thumb to follow is: Keep it Simple, Short, and Memorable. A blog title should be unique. As long as it’s not too wildly off-the-wall, a unique blog name will stick in people’s minds. 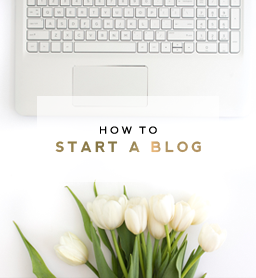 To come up with the perfect blog title name, you should first consider who it is you’re trying to reach. What is their language? Their style? Their age? Their income? Their education? Their level of sophistication? Their interests? A blog title should be appealing in particular to your target audience and not merely appealing overall. If you’re still stumped, seek inspiration from a map, consider using an acronym, explore the use of foreign words, use your own name or nickname, get inspiration from mythology or your favorite book, or thumb through a dictionary. 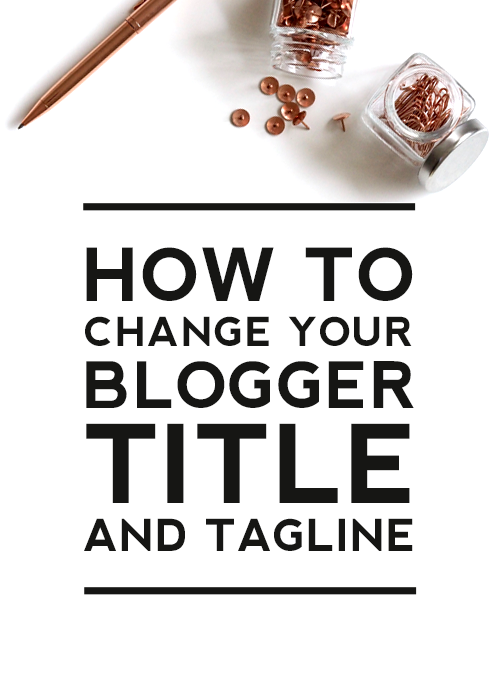 When you’ve come up with your title and tagline, you’ll need to add it to your blog. 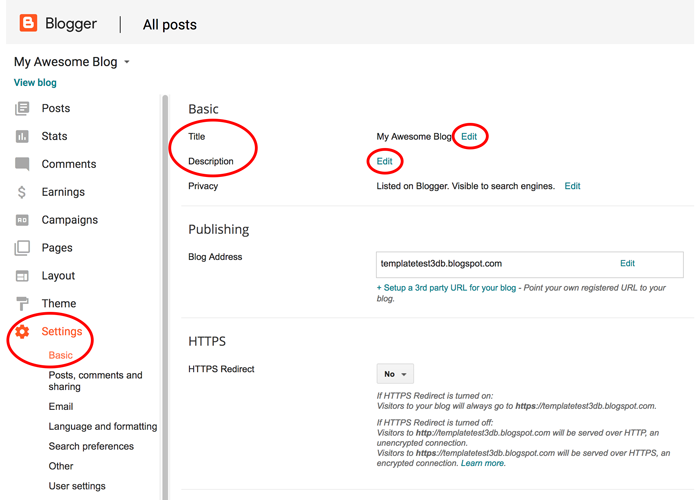 Today’s Blogger tutorial shows you how to add/change your title and tagline in Blogger. 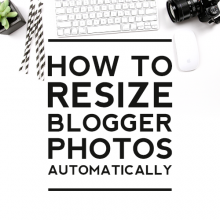 This tutorial is also helpful for those using our Blogger templates, which include titles and taglines that you can customize yourself. Login to your account and go to Settings > Basic. Click on the edit buttons next to Title and Description. Type in your desired title and description (aka tagline). Some Bloggers choose to leave the description blank and let the title be the star of the show. 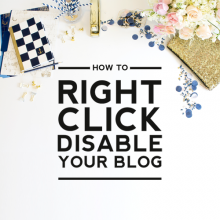 Once you click “Save changes,” your new title and description will automatically appear on your blog. A good tagline captures the essence of what your brand is about. A good tagline helps people quickly understand why they want to connect with you or what benefit you offer them. A good tagline is succinct. Under 7 words is a good rule of thumb. A good tagline aids in cementing your brand into readers’ minds so that they remember you. Your title and tagline are the first things your readers will see when they enter your site. 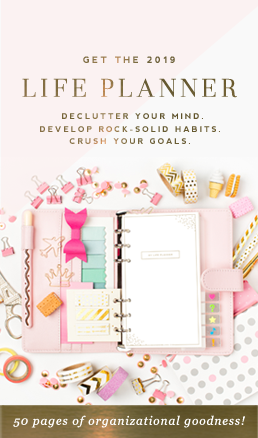 Spend some time brainstorming and narrowing down options to find the perfect fit for what you want to convey.